I heard a nice discussion yesterday at the gym about the use of Omega 3 supplements. One thought you could get this out of your diet, the other was absolutely convinced that you needed supplements for this. They did agree on the health benefits; good for your heart, cholesterol, blood pressure, fat loss and a positive influence on psychological disorders such as depression and dementia. In any case, it gave me enough inspiration to tell you what Omega 3 really can do for you. The short introduction; Fats consist of saturated and unsaturated fats. The unsaturated variant can be subdivided into Omega 3, 6 and 9 fatty acids again. Especially in Omega 3 fatty acids, all kinds of health benefits are attributed. And let that in a normal Western diet exactly the fatty acid that most people have a shortage. Furthermore, you can subdivide Omega 3 fatty acids into ALA, EPA, and DHA. The last 2 can be found for example in oily fish and fish oil capsules. ALA can be found in walnuts, linseed oil, and margarine. But what exactly does it do? As mentioned earlier, Omega 3 would be good for cardiovascular disease and for your blood pressure. However, this is only proven if you have an increased risk of cardiovascular disease or already have high blood pressure. Why are you writing this blog? I actually wonder that a bit too ;-). But luckily there are plenty of benefits for athletes that I like to share with you. For example, a recent study has shown that Omega 3 supports the immune system, inhibits inflammatory reactions and improves muscle protein synthesis (if protein intake is not enough) in athletes. In addition, there is also small, but contradictory, evidence that Omega 3 is good against muscle pain after a workout. In short, good for your recovery! Furthermore, there are even a number of studies that show that Omega 3 has a positive effect on the experienced menstrual pain. One of these studies even speaks of a better effect than Ibuprofen against this pain, however, it is not clear how many Ibuprofen the test persons received. For the above studies, the test subjects also received fish oil capsules and therefore only received EPA and DHA. Top! How do I get it? 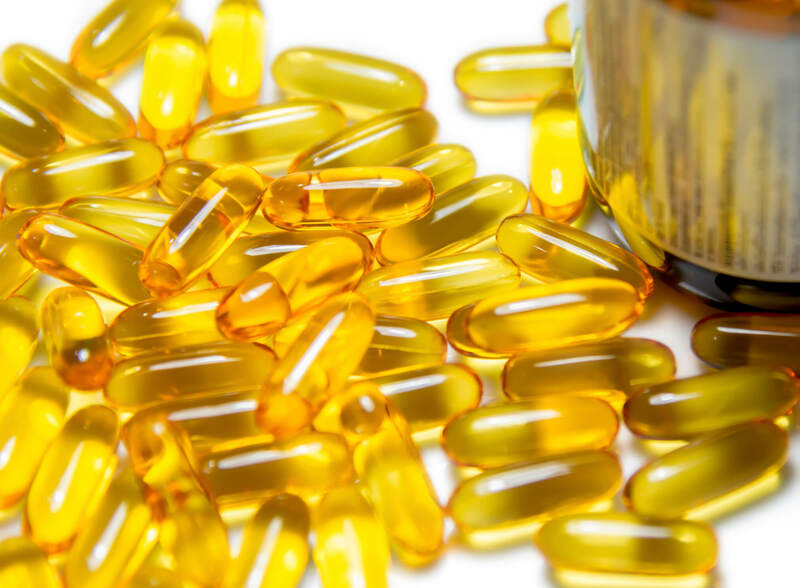 Fortunately, there are enough advantages to Omega 3, but how do you get enough of it now? As mentioned Omega 3 is in fatty fish and linseed oil, walnuts, and margarine. It also occurs in (organic) eggs and meats, provided the animals are fed grass. To really benefit from this, minimum intakes are required. For the effect on your immune system, inflammatory reactions, and muscle protein synthesis, the recommended amount is 3.3 grams per day (consisting of 1.8 grams of EPA and 1.5 grams of DHA). For the effect on muscle pain 1.8-3 grams per day and for reducing menstrual pain 1 gram per day. With an intake of 3.3 grams per day, you are already well. Nice all those grams but what should I eat exactly? Very easy! In 100 grams of raw salmon, for example, there are already 4.3 grams of Omega 3. On some packaging, this is also specifically mentioned. Note that the amount decreases slightly when baking and smoking the fish. In addition, there are of course also good supplements to find with which you can easily reach your daily Omega 3 intake. This is a good alternative for athletes who do not eat a lot of fish, but also for vegetarians and vegans. For them, there are even supplements that are completely plant-based from algae, the same source where the fish get the Omega. Note that there are sufficient DHA and EPA in your supplement and whether it is made from sustainably caught fish. A good supplement is, for example, Flinndal Omega 3, available in our shop! As you can see, there are more than enough advantages to watching your omega 3 intakes as a fit girl. If you do not like the above diet or eat enough, fortunately, it is also easy to supplement for a fitter body!